Joseph Brodsky's last volume of poems in English, So Forth, represents eight years of masterful self-translation from the Russian, as well as a by now substantial body of work written directly in English. 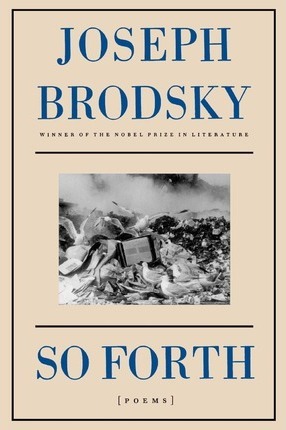 At the time of his death in 1996 Brodsky was recognized as one of the great poets of his mother tongue; yet after twenty-four years in the United States, and decades of teaching and studying poetry in English, he had become a master of his adoptive language as well. The poems collected here reflect the many milieus he inhabited - rural Massachusetts, New York City, his native St. Petersburg, the great cities of Europe - but they are the voice of a citizen of the world, exploring the territories of language itself. The poet Joseph Brodsky received the Nobel Prize in Literature in 1987.